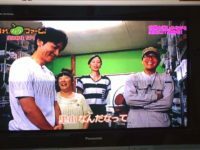 A bunch of us at hackerfarm were recently featured on a show on NHK about people moving out to the countryside. It was quite nice when they expressed interest, but we had no idea how grueling it would be. 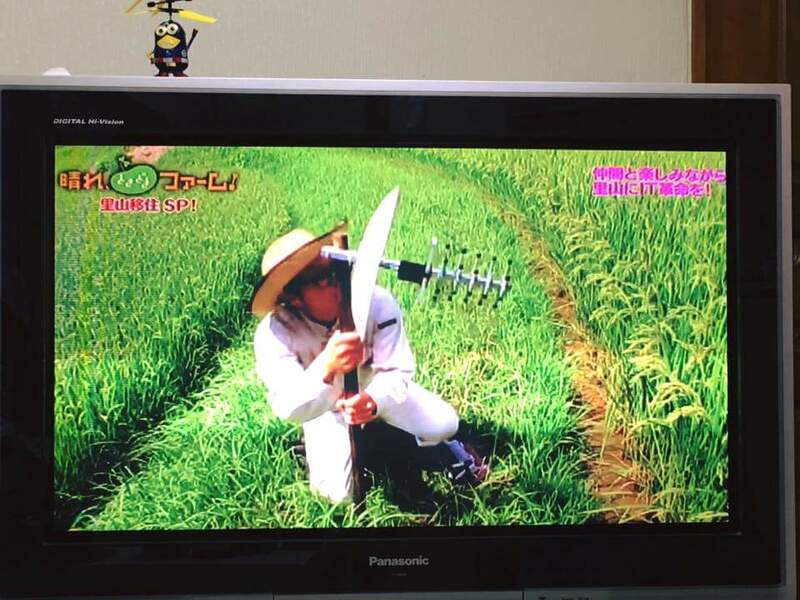 It started in the morning when we trekked out to the terraced rice paddies to set up our TechRice demo system. We were still in development and we had to break it down and take it out to the fields to set it up. One of the camera crew followed us as we put it together and I had a guy filming me as I walked the length of the hillside to set up the transmitting antenna. It was no problem to get it to work out there since we had already tested it quite thoroughly, but anyways, they were mainly just interested in the visuals, ie: the system enclosure, the big antennas, etc. I don’t think they paid much attention to the data that we had painstakingly crafted and communicated. Ha ha ha. 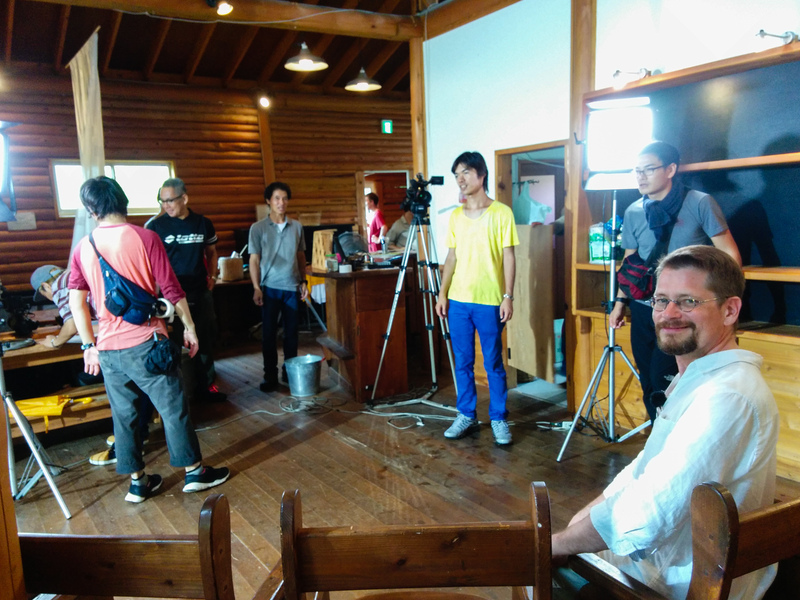 After the rice paddy episode was over, they came to the hackerfarm lab to ask us about what we do there and also what kind of projects we work on. One of the announcers commented that the lab was dangerous because its possible to do hacking. I think we kind of giggled about that. They were really nice though, and I really liked one of the announcers in an old TV drama she was in. They were very respectful and were genuinely curious about why we moved out here and what we do. 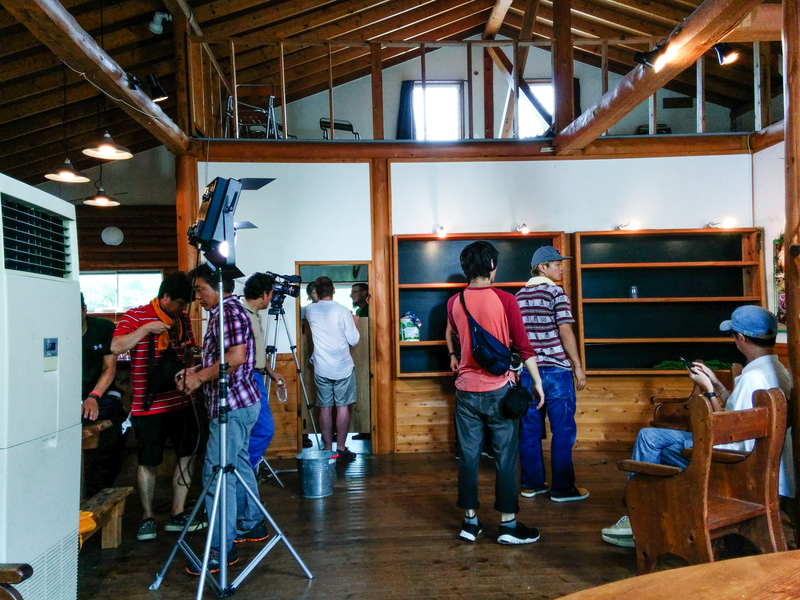 The final shot of the day was at our cafe, Satoyama Design Factory. 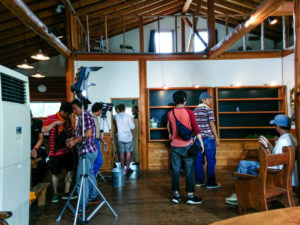 The program hosts and the producer were surprised about the cafe since it seems like we’re just a bunch of otaku in the countryside. We actually broke down how we organize ourselves for hackerfarm, how we organize ourselves for the cafe, and generally how we divvy up tasks, community involvement, event management, etc. One of the great things about the crew here is that many of us have experience starting a hackerspace or multiple hackerspaces, organizing events, and building communities. When we started, we didn’t expect that there would be so many facets to community management or that it would take up so much time. In reality, it’s a very big, time consuming task for all of us which is why it’s great that we work so well together. Everyone here jumps into the tasks, usually without being asked or told that something needs to be done.